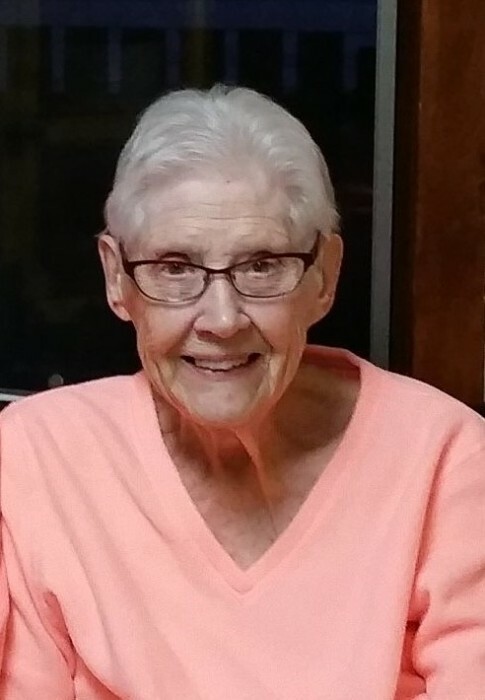 Barbara S. Ford, age 89, of Ferndale passed away Sunday, Jan. 13, 2019 with her family by her side at the MT. Baker Care Center in Bellingham, WA. She was preceded in death by her loving husband of 67 years, Chap. (LTC/Ret. US Army) Martin M. Ford. She is survived by her six children; Martha (Tim) LeDrew, David (Heidi) Magnuson-Ford, Becky (Tim) Kopp, Jordan (Kathy) Ford, Marybeth (Don) Barrett, and Betsy (Jeff) Retterer. She is also survived by 18 grandchildren and 11 great-grandchildren. Barbara was the daughter of Betsy and Curtis Sanderson and was born in DeKalb, IL. She had a brother, Challuce, and a sister, Lorraine. Barbara retired after nearly 40 years as a registered medical technologist, working in various clinics and hospitals all over the U.S. Barbara was an accomplished writer. She wrote a syndicated column, “Whimsey”, for many years for the Winona Daily News. In addition, she wrote two children’s books and wrote columns for Tiny Frog Strategies, LLC. Barbara also enjoyed knitting, Hardangar, crossword puzzles, and reading in her spare time. She enjoyed traveling with her family and in the RV with her husband in retirement. Since Barbara was the wife of a military career man, she moved around a lot. However, she always made sure that whatever house her family lived in, she always made it feel like “home”. Barbara was also a survivor. She single-handedly raised 6 children (including 3 teenagers) while her husband served two tours of duty in Viet Nam. Barbara believed in education. She always incorporated history and new learning as the family moved to new locations or went on family vacations. Barbara was quick to laugh and was very witty. She helped her children appreciate the value of money. While the family was large and priorities had to be made, she always helped her children understand how going “halvsies” helped them appreciate what they got even more. Barbara made sure all of her children understood the value of hard work. Each child had weekly responsibilities and learning life skills was an integral aspect of having a successful family unit. Barbara always put family first. She was a dedicated wife, loving mother, grandmother, and great-grandmother. Barbara was a quiet person, never drawing attention to herself; always comfortable with a good book or the sounds of silence. Yet, she always made sure that each of her children had a voice and was heard. She will be greatly missed and loved by her family and friends.